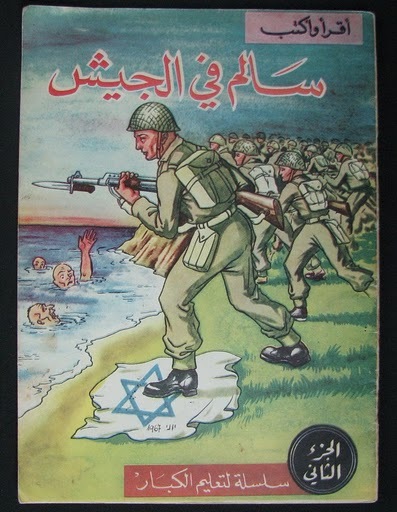 In October 1973, the State of Israel was invaded by Egyptian and Syrian forces. 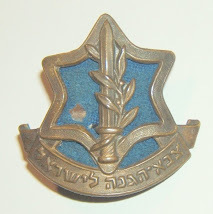 Despite early losses, Israel managed to outfight its opponents. 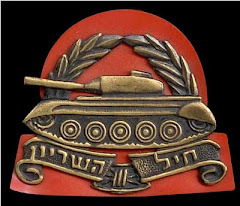 The brief and bloody Yom Kippur War stands as a unique chapter in modern military history. 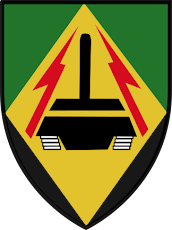 Fought primarily by tank units, the war became a story not only of battle strategy and tactics, but also one of human discipline, endurance and sacrifice. 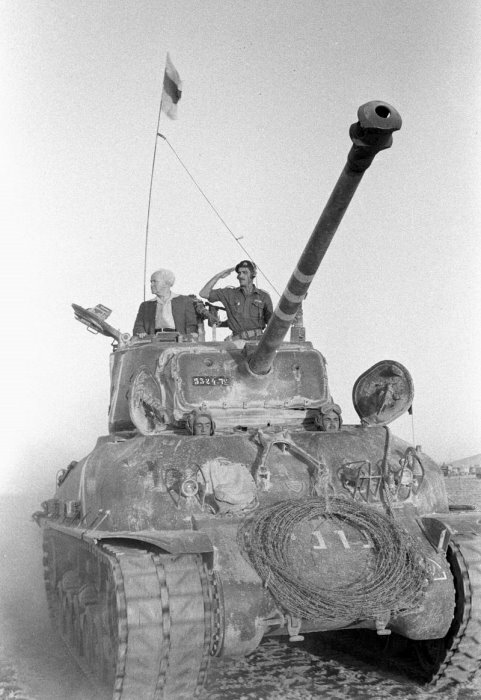 While many historians have chronicled the events of the Yom Kippur War, few have been seasoned by actual combat. 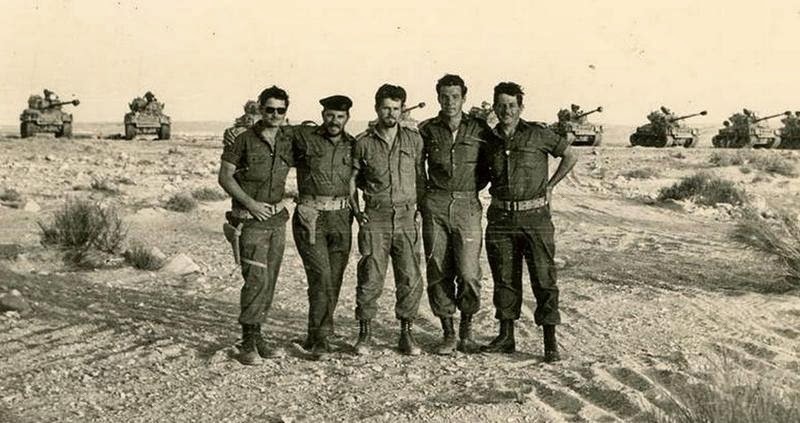 Avigdor Kahalani, commander of a tank battalion on the Golan Heights during the Yom Kippur War, describes this experience in The Heights of Courage. Beginning with a description of the initial Syrian offensive, he recounts the personal endeavors of his men, their fears and their ambitions, as well as their emotional and physical hardships. 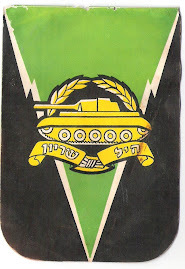 His stark account traces the efforts of the Israel Armored Corps as they struggle to overcome extreme difficulties and setbacks. The author describes their ultimate penetration into enemy territory and their approach to within forty kilometers of Damascus. they fought the crucial vanguard ground battle, breaking into Sinai again without direct air cover, then pushed the Egyptian Army back toward the Canal and cracked the Syrian frontier. 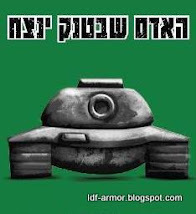 Teveth, a prominent journalist, rode with the tanks; one can see how an inch-by-inch eyewitness report would become a best-seller in Israel, but fewer American readers will want this degree of military detail. 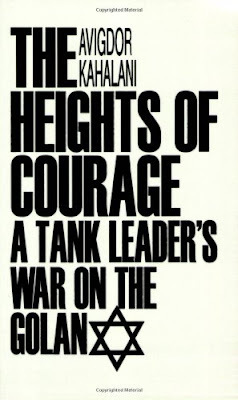 Teveth begins the book with the May 1967 mobilization in Israel, pressing the prevalent view that war was imperative. 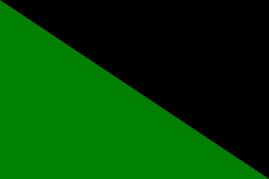 He uses General Tal, among others, as a vehicle for his further messages: Jewish nationalism may be philosophically questionable, but Israel must survive in a world of nation-states; Israeli militarism may be regrettable, but Jews must survive in a region of powerful enemies. . . and at least the army is as democratic as discipline will permit. The book comes with Dayan's recommendation. This new title in the 'Duel' series of books from Osprey is written by Simon Dunstan, an author who has a number of excellent books to his credit already. This one is equally good, and covers the 2 AFVs of the title in a well balanced book. 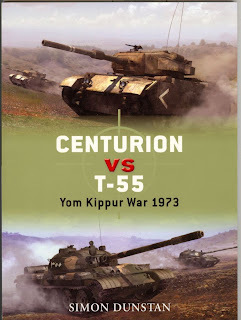 The first half of the book gives the background to the development and service of both the British built Centurion and the Soviet built T55, and compares the technical specifications of each. It goes on to tell of how the Isaeli armed forces took to the Centurion, and developed it into the 'Shot Kal' variant. There were a number of differences, but perhaps the most marked is the change of engine from the original Meteor engine, compared to a US built diesel, such as used in the M48s. Hence in the second half of the book, the combat record described refers to both versions of the Centurion. Clear amongst this is the poor range of the Meteor version, due to the high fuel consumption of the engine. 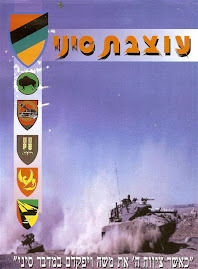 The combat records given cover the action on the Golan Heights, and are quite graphic in much of the detail. Though heavily outnumbered, training and tactics helped a much smaller force of Centurions win the day against a greatly superior enemy force, made up largely of T55s, as well as T62. 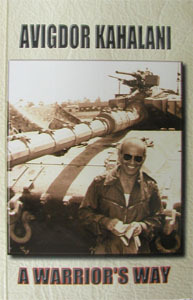 BOOK TITLE: "A Warrior's Way"
FULL TITLE: "A Warrior's Way - Israel's Most Decorated Tank Commander Relives His Greatest Battles"
- In 1967 Avigdor Kahalani was awarded the Distinguished Service Medal for leading the relentless charge at the head of the first Armored Corps tank company which broke through Egyptian lines and advanced along the northern Sinai axis during the Six Day War. 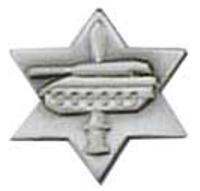 Following the 1973 Yom Kippur War, Kahalani was awarded the Medal of Valor, Israel's higest military citation for his courageous stand during the first critical days of the war at the head of a tiny force that engaged and fought to a standstill an overwhelming number of Syrian forces in fierce and bloody clashes on the Golan Heights. In this book written in 1989, Kahalani recounts the story of his years in uniform, during which he confronts difficulties, faces physical and mental challenges and overcomes obstacles.